People twelve, came for 29. All I want now, is to "pop" my feet up!" The first of 29. 's PopUp dinners was a huge success! 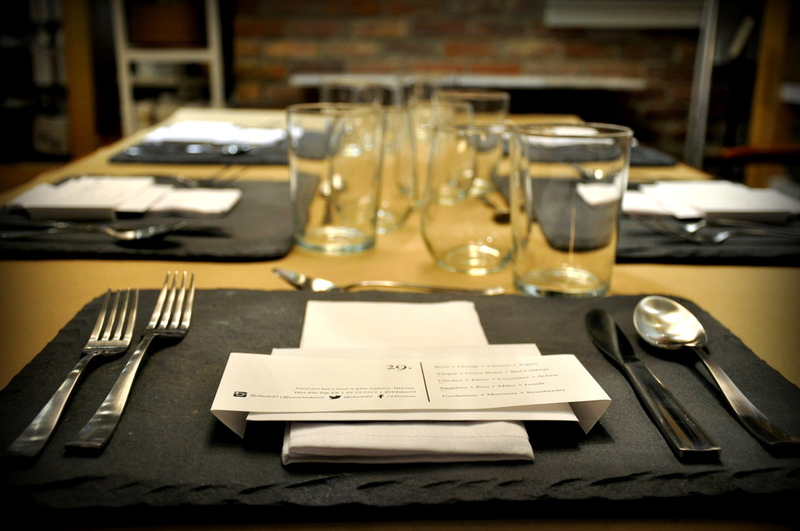 12 people, 5 courses, and an experience that you can't put a number on. Thank you to all who came, trusted me with their meal, and left with a smile that made me believe in myself just a little bit more. Here's to much more PopUp fun in the days to come! Looking for a unique way to celebrate that special occasion? 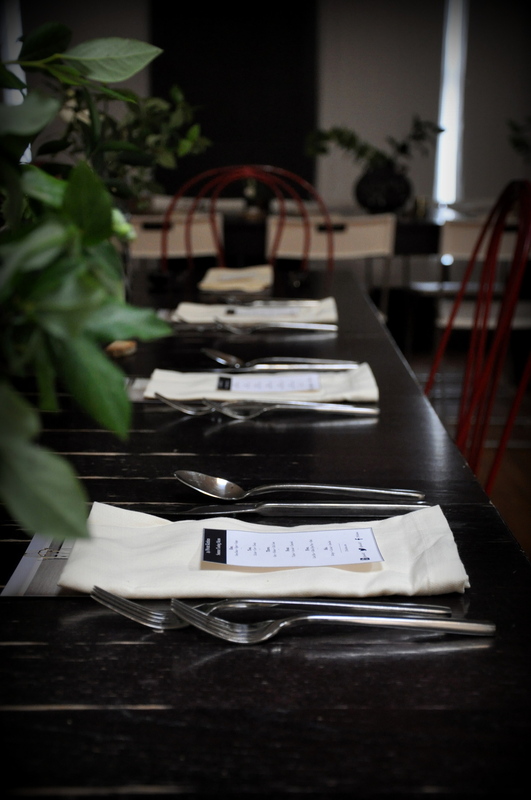 29. can arrange a private PopUp dinner in lower manhattan for a group of 8-12 pax. Contact me today for details! To me, no holiday is complete without three things - A run by the local waterside, meeting old friends and hunting down the local coffee spots. I was in London last week, and decided to spend 2 precious (and pleasantly gorgeous!) days in the city doing just that. I visited around 9 cafes, and was hopping with copious amounts of excitement and of course, caffeine. Below are my favorite four amongst them all - in no particular order of preference. And for those cringing their noses or shaking their heads, I know this is not a tapas or recipe post, but if you love coffee culture as much as I do, you would understand and ... forgive. I vouch I will never pull my own espresso. Some things are better left to the experts. My very first hit in London. I went there on recommendation of a friend, and it did not disappoint. With a black & red decor, the place boasts of comfort & a mystical charm. You can drink-in or take away to the SoHo park just opposite - if the sun is shining (as scarce as hen's teeth!) you would want to grab your cuppa, run as fast as you can, and drink to the brim in the greens. Their flat white is definitely worth trying! This may not be of significance to you, but this is one of the only cafes in the city that offers free wifi. Now, believe me, that is as important as sunshine, specially in cities where both are hard to come by! Perched on a side street of the busy Oxford street, a black bicycle marks the entrance to this spacious joint buzzing with coffee addicts. With wooden benches and a toy truck passed from one table to the next scribbled with the wifi passcode, the coffee takes time to come, but is worth every seconds' wait. They even roast their beans on-site in a small room at the back! A great breakfast stop, with the Iced Latte doing what it does best - cool you off during the 2 whole days of the London summer. The Barista was so enterprising that he gave me a stamp card with an extra chop for being a New Yorker. Little did he know that he had me at "What can I get you today", for I had plans to come back the next day. I took it anyway. Cheeky. True to it's name, this coffee house gives you a shot of what you yearn most in the mornings. Cosy & casual, with friendly Barista's who smile with utmost patience and answer the strangest of queries - from coffee or drip courses to spots with free wifi or the origin of israeli couscous. Tried and tested. During lunch, the place is packed with inert office goers fighting for a boost - along with a range of fresh sandwiches and salads brought out from the basement kitchen. I even bought a bag of beans for a coffee-fanatic friend and he absolutely adored them. Grab a seat while you can, and turn the pages of a book over a simple Espresso or Latte. Bliss! Contrary to the what the internet may say, in my opinion, their Cappuccinos are better than their Flat Whites. Of course, I tried both. Tucked away in the side streets of Chinatown, getting to this cafe was itself an experience. I walked a fair few side streets glaring at me with adult entertainment shops, only to miss this spot and walk past it twice (perhaps I was distracted?). The slim & tiny place was buzzing with locals and tourists alike at 7am! An obvious favorite amongst the early starters, I enjoyed talking to a few over my poison. By 830am, the place was just as empty as the cups that lay around. Strange? Not for me, I got a good spot to sit and enjoy my 2nd cuppa! So next time you're in London, skip the shopping, guards and grey moods. Pick up a book, find a spot and smell the roasting beans. Savour what London doesn't display on tourist maps - coffee and conversations. I promise you will go back for more.